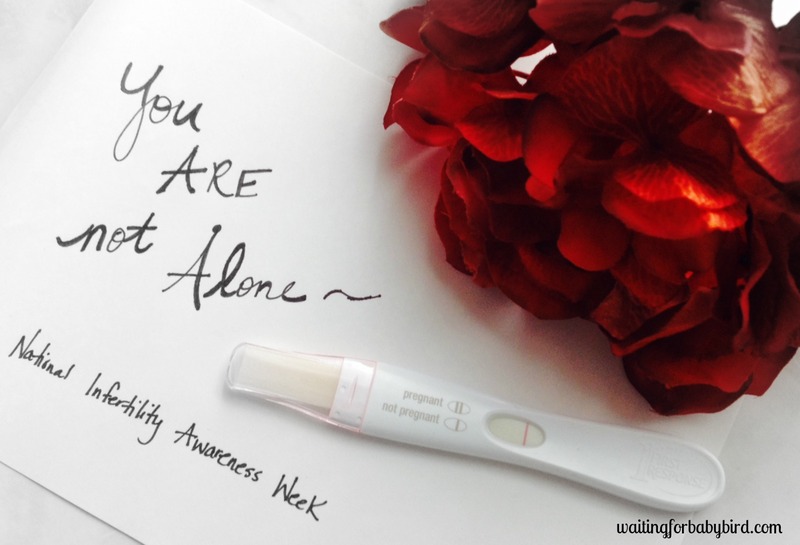 For days I have sat staring at a blank computer screen unsure of what I should write for National Infertility Awareness Week. To be quite frank, I wasn’t fond of the theme #StartAsking. In fact, I hated it. But after some soul-searching, I realized it’s because over the last year it has become increasingly difficult for me to ask others for what I want or need. Don’t get me wrong, I am still awesome at making a Christmas wish-list or telling my husband to take out the trash, but to ask for something that fills an emotional void? Or addresses the deepest desire of my heart, which is children? I find that lately I will do anything to avoid opening myself up and letting others see my wounds. Especially when given the question “how are you?” Because sometimes when I answer “fine”, I am anything but “fine”. I am weary. I am overwhelmed. I am frustrated. I am angry. I am sad. Even ashamed. I want more than anything to escape this story…this nightmare of a Polycystic Ovarian stricken body that I feel so imprisoned and trapped to be inside of. There are days I just want to stay in bed and nights when I can’t fall asleep. Who knew making a baby would be this difficult? Or expensive? I constantly catch myself daydreaming about my life before infertility and how much happier I was. I think about how if everything had gone according to my plans how much easier my life would be right now. But to share with someone else who hasn’t walked this road these thoughts? I can’t. It’s too hard. It’s become too hard over the last year for me let others who do not “get it” to see my tears, carry my burdens, or try to feel my pain. It’s become too hard for me to share with them my pain because I don’t want them to feel uncomfortable. I don’t want to disappoint them with my wavering faith or have them feel sorry for me. And I don’t want them to tell me something in response that will only make the pain worsen or the fear over my circumstances intensified. Because as it turns out, the longer I wait for my miracle, the more others around me start to doubt and lose hope it will happen. And with their doubt come their words of ‘maybe it’s just not meant to be’. Why can’t my body do what hers can? Why do I have to cut out gluten, dairy and soy but they can eat cheeseburgers, pizza and ice cream? Why hasn’t God answered my prayers that I have been fervently crying out to Him? Is it because I am not doing something right? Or being punished for something I have done wrong? But to voice these questions out loud? To let someone else know of my deepest insecurities? I can’t do that. That’s become too hard. And rightfully so. Because no one ever wants to appear weak. No one ever wants to feel vulnerable or insecure. Or come across as someone who doesn’t have it all together. No one wants to open up their heart, expose their wounds and then risk hearing statements that belittle them or minimize their pain. I know, because as an infertility blogger, I have fallen victim numerous times to the skewed views and opinions others have toward those struggling to conceive. I have had to read and endure comments that cause my stomach to twist into knots, shame to overwhelm my soul, and tears to fill up my eyes. To say that their comments haven’t taken a toll on me would be a lie. Because the mask I am wearing reveals the truth. It has quieted my voice, hidden my feelings, and pushed down my heartache. But as I write this, I have realized that the more I walk around with this mask on, the more I need to take it off. Because without anyone asking the tough questions and sharing the painful thoughts and emotions infertility stirs up within our soul, how can the stigma be erased? How can we eliminate the isolation it brings? Or expose the lie that infertility is a form of punishment? Or just an inconvenience? People like to be comforted. To be understood. To be heard. And to undeniably have prayers for a miracle prayed over them. However in order to have that, people also have to be willing to take off their mask and do what they think they can’t. And do what they think is too hard. They have to step out of their comfort zone and be willing to take a risk as they break the silence. Because silence only magnifies the struggle. It only breeds the stigma. And feeds the loneliness. It keeps people believing the lie that they are alone and that their struggle isn’t valid. Or worth mourning. This is why, today, I am taking off my mask. And I am boldly going to #StartAsking for what I need. And what I need is grace. Grace to be able to decline attending a baby shower invitation without judgment. Grace for when I have to excuse myself from conversations surrounding birth stories and stretch marks. And grace for those moments when I lash out in frustration at the advice given to “just relax” or the suggestion made to “just adopt”. I need my friends to not just say, “Call me if you need to talk” but to call me and say, “Let’s talk.” Because chances are I might not tell you I need encouragement while standing in the midst of a crowd, but I will if we are one on one. I need those that I pass by in the hallways of church to not just stop me and ask if I am doing okay, but to stop me and ask if they can pray. No other questions asked. Just prayers prayed and hugs exchanged. I need my husband to look me in the eyes often and ask me how I am doing. And then just hold me when I answer. I need him to share with me his thoughts and his feelings. 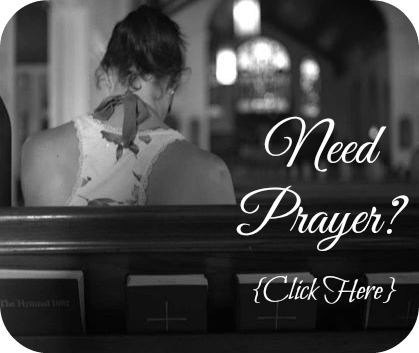 I need to know and even see that I am not alone in this, and that he is fighting for our family, for our future, and for our marriage just as hard if not harder than me in prayer. I need the church to remember me on Mother’s Day. To recognize that this day is hard as it reminds me and so many others of who we are not but want so desperately to become. And I need for those who have not walked this road to put themselves in my shoes and feel my blisters. 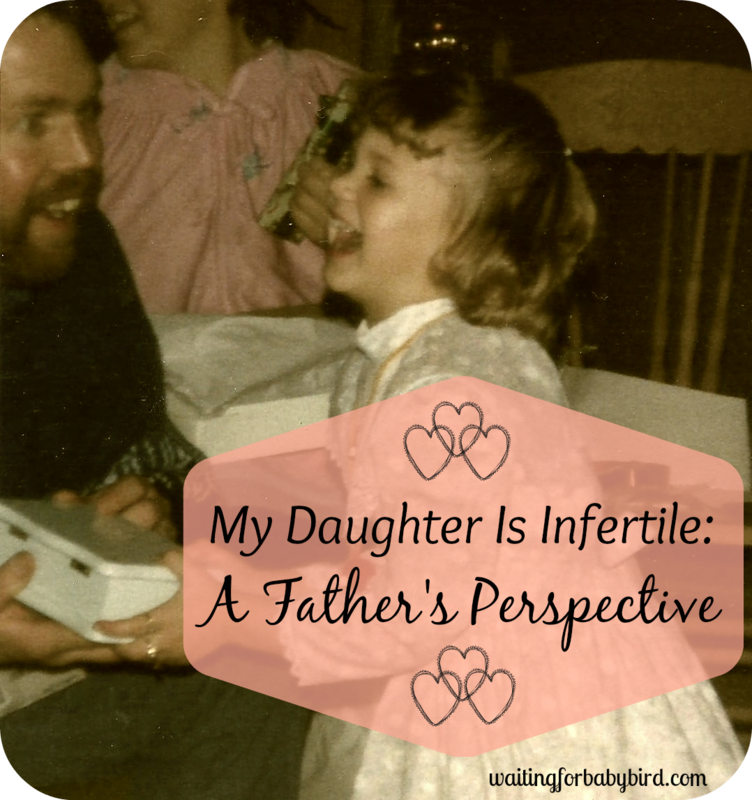 To try to understand with compassion and empathy that infertility is not just an inconvenience. It’s a disease of the reproductive system that affects 1 in 8 couples. And like any other disease, it’s frustrating. It’s gut-wrenching. And it’s depressing. It’s like a grave that keeps following you around day after day as it swallows your hope and buries more of your dreams. It is walking down the baby aisles and touching the onsies, picking up the booties, and wondering when. And asking why. It’s loving a child you have never even met. And missing them every day. It is trying to understand why prostitutes, drug addicts and those who abuse their children are given such blessings. But you? You seem to have to fight and work and struggle beyond your strength and exhaust all of your resources to receive. Or expecting to walk out of the hospital with a birth certificate, but instead it’s a death certificate. It’s a constant war between your body and your soul. A war that you must fight to win daily and a war that is exhausting, yet somehow and in someway, you find the hope to battle on. And while it might be heartbreaking, soul crushing, and dream shattering, I know deep down it’s nothing to be ashamed of in my life. I didn’t ask for it. I didn’t do anything to deserve it. It’s not some form of punishment or God’s way of telling me He doesn’t want me to be a mother. And so with my mask off, I am going to #StartAsking myself to let go of the guilt. Let go of the embarrassment. And let go of the stigma society has placed on me, someone who is 1 in 8. I am strong. I am brave. I am unashamed. And because I am all of these things, I am boldly going to #StartAsking. And sweet sister, if you are also 1 in 8, know that it is okay to step out and #StartAsking too. There are over 7 million men and women who share the same dream and know the same struggle. You are not alone. And together, we can unashamedly take off our masks and make a difference not only within ourselves, but also within the world around us. So let’s #StartAsking. And while we are at it, let’s vow together to never #StopAsking. Never #StopAsking for support. For compassion. For understanding. And most of all, for the miracle we need. Because if you are like me, it’s hard to keep asking when each time you have prayed, the answer has been no. It’s hard to keep getting on your knees when the constant disappointment has caused you to over time pull back on the reins of hope because you don’t want to feel the sting of being let down again. I get it. I, too, have found myself not asking as often. But I still can’t help but believe that the pain we feel, the dead-end roads we have faced, and the dreams we have buried with our tears, are all ingredients for the miracle we are begging so hard to receive. I know, it sounds crazy, right? But if you hadn’t noticed, there is rarely ever a miracle without first the overwhelming pain of a problem. A problem that is full of heartache and frustration that causes tears, sleepless nights, disappointments and intense grief. So hold on. Don’t become too discouraged after another failed cycle. Or allow fear to creep into your thoughts. Instead, have hope. Hope that things could change. And then mix it with faith. Faith to believe they will. Because I can’t help but think your problem and my problem is simply creating the perfect breeding ground for a miracle. A miracle that God has proven time and time again He can perform. For more information about the disease infertility, read Resolve’s article “What is Infertility” by clicking here. To learn more about Resolve’s National Infertility Awareness Week, click here. 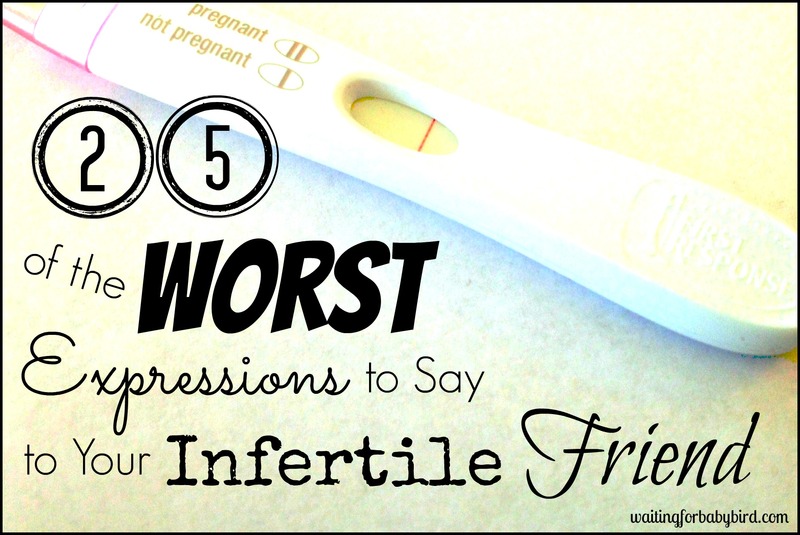 To read 25 of the Worst Expressions to Say to Your Infertile Friend, click here. If you live in Southern Illinois and would like to attend my monthly faith-based infertility support group, “The Nest,” or learn more about it, please click here or email me at 10hopeingod@gmail.com. Thank you for this post. It could have been written by all of us, it is so accurate. You are so brave to take off your mask and speak up for us. On behalf of myself, who is too scared still to speak, I thank you so much for trying to change things for the better. I completely resonate with you have written. Thank you for being brave to speak up. I am usually a silent follower, but I wanted you to know you are not alone. I will keep uplifting you in prayer as a fellow sister in Christ. I love this Elisha, I hope you get nominated as one of the best! I also did not care for this years theme at first. Thank you for your constant motivation for others. Amen! What is impossible with man is possible with God. Thank you for asking. Thank you for letting God be glorified through your hope and faith even in a situation where Satan can easily get the upper hand to shame you and the Jesus that you serve. It’s interesting the situation God chooses to make His men and women for His Kingdom. Infertility is certainly one of them. When we come through this, NOBODY will be able to tell us that our God is not a promise keeper. Even in the midst of this crucible, the fact that I still have a sound mind and can live each day in victory is a prove of His promises to me as stated in II Timothy 1:7. Elisha, once again you have put words to my enter turmoil. Thanks you. This road is terribly hard and lonely and you holding it together is amazing. You are doing a great job handling such a terrible burden. And on those days when you can’t hold it together? That’s ok too. Hugs. Thanks for the post. Definitely not the only one with those same feelings. I’m sitting here crying reading this as once again you have so beautiful put to words to many things that swirl around in my head. I truly admire your bravery, tenacity and faith. I am thinking of you and sending lots of hugs. Your post is beautiful, strong and point on! You have been able to explain everything I’ve felt for years all in one post! 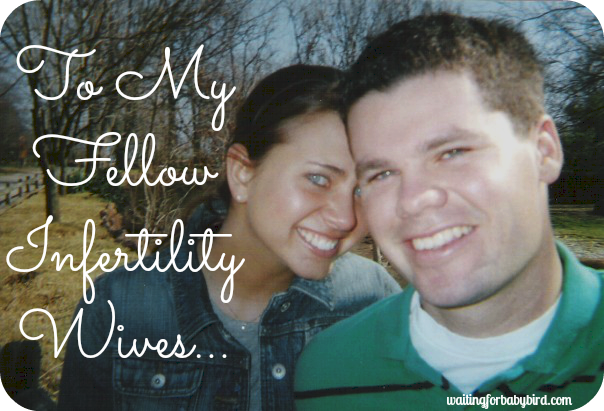 All 9 years I was silent before going public about our infertility in my blog, you were able to capture with these amazing words! I will be praying for you and hoping we both get our miracle one day! What an amazing post. I applaud you for being so raw and for living in your truth. What we fail to realize is that we have the power (thru God) to help set other people free but that only comes when we make the decision to trust him and step out on faith. This post will set souls free; women like us will release the stigma of infertility and take on the gift of grace. Thank you for your courage!! This post was so powerful in so many ways. I love how you were so honest! I admire your honesty and your bravery at sharing your soul/joy/heartaches with so many people. I first started blogging because I felt like there was no one in my circle that understood my journey and it became so healing. Your blog is a source of strength, encouragement, and comfort to so many. Including me! I am also glad you reminded me about how hard Mother’s Day can be for those struggling with infertility. I used to be one and it’s easy now to “forget” but it’s so important that we support and love those who will be aching that day. Especially since my church will be doing a huge blowout for Mother’s Day. I want to bring to our minds how we can also be a source of hope/comfort to those that will struggle on this day. Thank you for your honesty and for being willing to put yourself out there every day! Love you girl! Thank for you sharing. Very beaitifully written. I am also praying for you Elisha! I think to #startasking is one of the most difficult aspects to dealing with infertility. It’s one that even now, I’m not comfortable talking about so openly as you. And I commend you for being so courageous. But maybe #startasking also means I can ask God for you, with you. #startasking I think has the potential to mean a lot of different things to different people. To face fears externally or to become quieter internally…whatever the situation, know that tonight I’ll ask for you 💜. Beautiful, as your posts always are. I haven’t said/done much for NIAW this year either…I feel like I’m living on the cusp, hoping I’ll make it to the other side, but scared that I might not, and if I say anything, it will bring it all crashing down. Thank you for speaking out! I can totally relate to this. I hope we all can beat infertility soon. Beautifully said. I have struggled with infertility and PCOS and I eventually had 2 boys but I remember the struggles, the pain and heartache and how I hid it from everyone. My blog actual is based on taking off the masks we wear. So thank you for your honesty and reminding me that there are so many women who still need my prayers. This post speaks as a voice for all of us. You captured it beautifully and perfectly. I would love to share this post. Thank you for writing it. Great…will share it on my blog and pass it along. Do you mind if I give this a shout out on the MC FB page? Or was it already posted there? Would love to bring it up there if that’s ok with you. I am 1 and 8. This was beautifully written. Great post!! So many things ring true for me in what you say. We have been more open with friends and family, but even when they do know they find it hard to know what to say after 3 failed IVFs (I would too). But at least they are learning and we are helping to raise awareness….sending hugs. Once again, you have tapped into the heart of the matter. Thanks for being real. 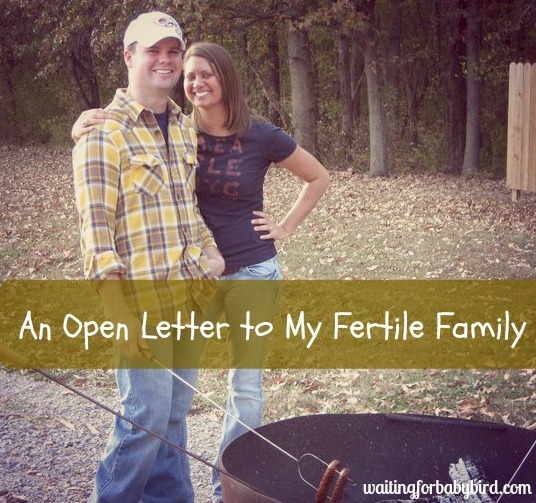 This is the first time I have “come out” about my infertility – to friends and family – even though my husband and I have been dealing with it for nearly 4 years. I guess it just made sense to do it this week… to #startasking. But I still couldn’t put into words how I felt, so that others could truly understand. And then I found your blog. Your words couldn’t have told my story better if they had come from my own mouth. And for that, I simply say thank you. I dont have the words for how incredibly spot on this post is, not to mention heart warming. This is by far the most meaningful post I’ve ever read in my 7 years of being involved in the fertility world. Elisha, you have a beautiful gift for words. Thank you for expressing yourself and for standing up for yourself. Perfectly worded. I could not hold my tears while reading the entire post. It does describe exactly the way I feel and the way I think of others. I am yet praying for you, for me and all those 1 in 8 sisters I now know I have somewhere. My heart is with all of you. Blessings. Thank you for your honesty in this post. I agree with you and support you in your journey to motherhood. I’m always amazed by your strength. I wish I could be as strong as you. Keep doing what you are doing for as long as you have the ability to do so. I pray for you and your family. This makes my heart ache knowing that people say these things to you. Sure, I get the “just adopt” and “just relax” remarks, and they hurt. We both know they do. However, these others things are just awful. Sending loads of love your way x Praying for comfort and that crazily unexplainable & awesome peace that only God gives. (abundantly!) We had a quite exhausting but great church workshop weekend and at one stage we had to dig deep to visualise and break down the walls that we’d built. Amazingly (and not amazingly, I guess) my wall was a strongly layered brick wall curved outward in front of me… Like a big ol’ armored preggie belly. I found I couldn’t break it but could lift off its foundations whole and gave it to Him… Strange but wonderful experience. 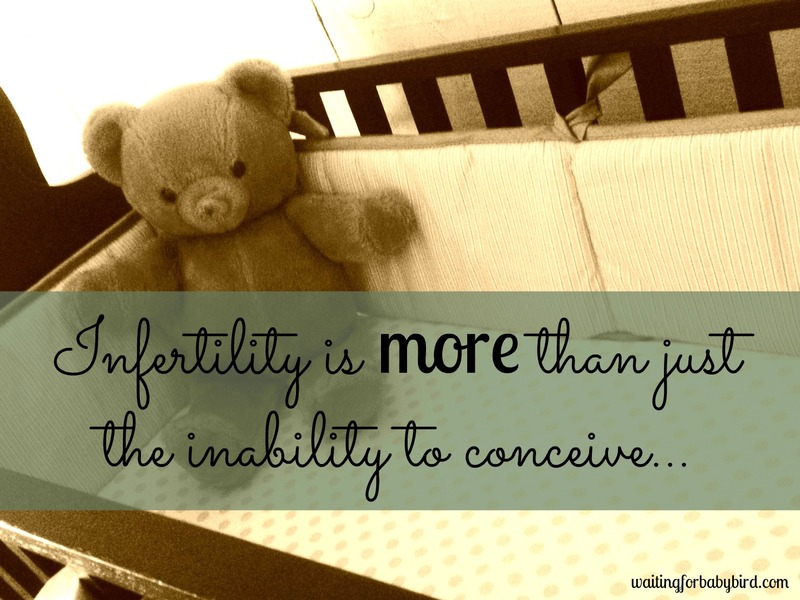 As an REI myself, I hate it when people discount the pain of infertility. I see so many women struggle, hurt, cry, and more. Keep talking! Keep asking! You’re each worth it. I can begin to explain how understood I felt reading through your posts. Thank you so much for your honesty and your faith. I too have been waiting for four years. And I can’t count the number of well meaning people who have told me to “just relax and it will happen”. You are awesome.